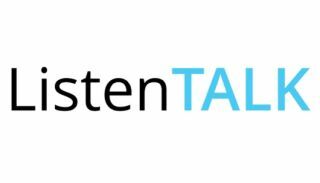 The What: Listen Technologies has announced ListenTALK, available globally and shipping in June. ListenTALK is a mobile, two-way communication system designed to make it easy for groups of two or more people to listen and talk with the push of a button. The pocket-sized device enables clear, secure, collaborative communications with the largest range of any traditional portable FM technology, up to 100 meters (328 feet). The What Else: ListenTALK groups can be set up quickly and easily using the free software suite or docking station tray, or by using near field communication (NFC). Unlike other two-way communication systems that require users to manually select channels and configure each individual device, ListenTALK devices can be configured by the simple push of a button in the docking station tray to accommodate up to 10 simultaneous groups operating in the same space. Users can also easily switch groups simply by touching the ListenTALK device to another leader device to pair. Participant talk-back mode can be set up for one-to-one, one-to-many, or all-to-all communication. ListenTALK operates on the 1.9 GHz band (instead of the more crowded 2.4 GHz) with low interference, so transmissions are reliable and includes multi-step encryption for security. In addition, a convenient, portable docking station case is available that charges, stores, and programs ListenTALK devices.